The quintessential summer drink has developed a new following, both on- and off-premise. 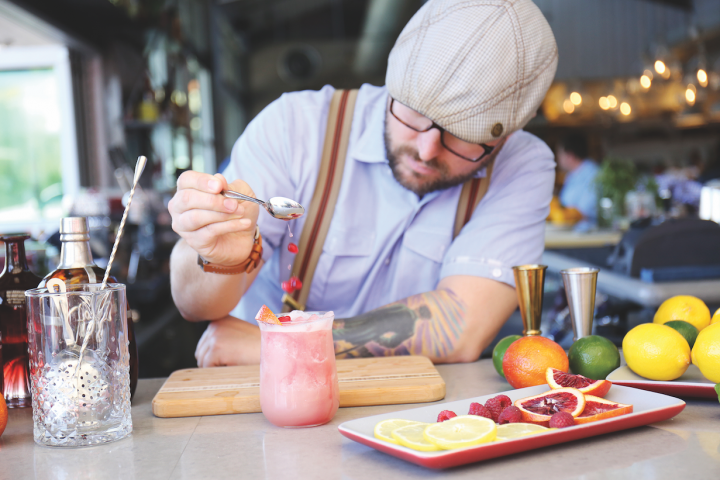 Many establishments, such as Phoenix-based Fox Restaurant Concepts (beverage director Mat Snapp pictured), are foregoing bottled sangria on-premise in favor of creating original concoctions. Bottled sangria, of course, is sold primarily in the off-premise, though there’s some on-premise penetration. While growth slowed somewhat last year, bottled sangria volumes have nearly doubled since 2010. Depletions of sangria (excluding wine brands whose overall volumes are not primarily sangria) increased 1.9% to 2.39 million cases last year, according to Impact Databank. Beso Del Sol is among the leading sangria brands in the U.S. with 208,000 cases depleted in 2017. 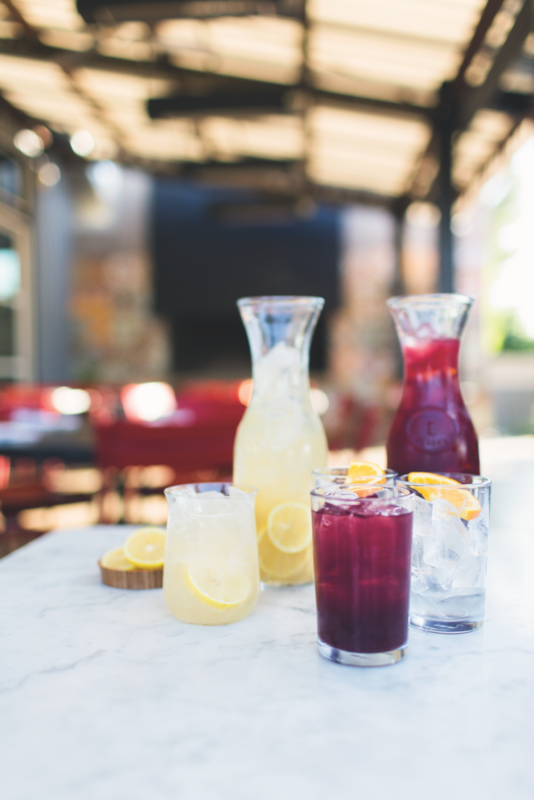 Salt Creek Grille, which has locations in California and New Jersey, also has a booming sangria business—according to bar manager Chad Landsberg, it’s the best-selling drink on the menu. 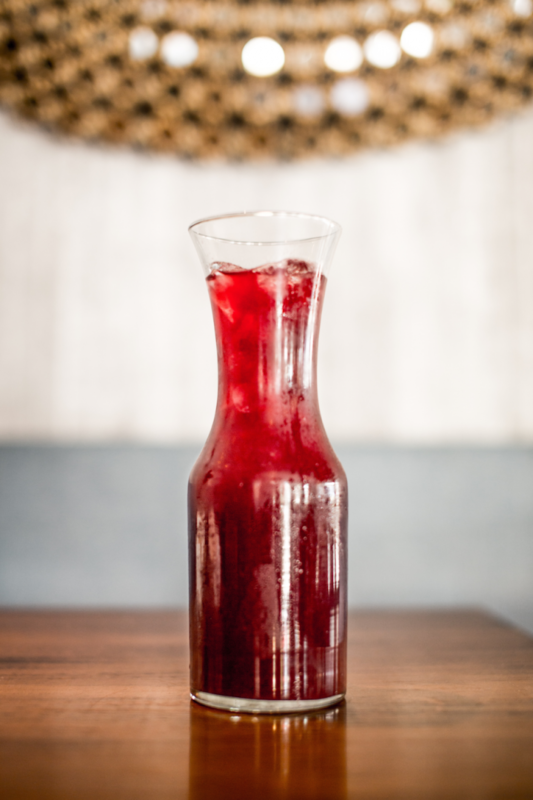 “Sangria is just so versatile, and all walks of life really enjoy it,” he says. “And they enjoy it year-round—that’s increasingly becoming the norm.” Salt Creek Grille’s drinks menu features a Red Sangria, made with boxed Cabernet Sauvignon (brand varies), rosé (brand varies), Bacardi rum, 360 Sorrento Lemon vodka, triple sec, apples, lemons, limes, and fresh juices. With sangria’s popularity continuing to rise, Kandsberg adds that the chain is considering adding a White Sangria. “I think it’s almost a necessity at this point,” he adds. In the on-premise, sangria is growing in popularity and becoming a year-round drink for consumers. On the off-premise side, many retailers note a growing consumer enthusiasm for the array of bottled and boxed products on the market. “Bottled sangria is popular, especially this time of year,” says Fredric Leighton, owner of Bayway World of Liquor in Elizabeth, New Jersey. His store draws large numbers of Latino and Portuguese customers who have a cultural affinity for sangria. “The packaging is exciting on sangria—it really pops,” Leighton says. He adds that higher-quality brands are slowly making inroads, with red sangria offerings—led by Yago Sant’Gria ($14 a 3-liter)—the most popular, though Señor white sangria ($13 a 1.5-liter) resonates with consumers as well. There is still some seasonality to sales of sangria at Arrow Wine & Spirits in Dayton, Ohio. Buyer Dennis Batty says volume is growing but sangria is “pretty much a warm weather product” in the store. Reál sangria leads the pack at Arrow, but Batty sees promise in some of the more premium-priced labels, including Eppa and Lolea. At Frugal MacDoogal in Nashville, however, owner Charles Sonnenberg is having a different experience. He notes that while sangria’s sales are still solid, enthusiasm appears to be waning. “The category had a major rebound and was doing well, but it seems that, at this early stage of summer, it has leveled off at best,” Sonnenberg says. “People have moved on to other things.” He adds that in the three stores he operates, premium sangrias are losing volume. “There seems to be a diminishing desire for imported, premium sangria, as consumers turn to brands that aren’t as expensive,” he notes. Other retailers also note the furor over Capriccio, which has garnered comparisons to premium malt beverage Four Loko on social media. Both brands are purported to give users a quick and aggressive high. As a result, Batty says Capriccio is “flying out” of his store and Leighton remarks that he’s been floored by the demand. “We’ve got to allocate it, and we’ve got to smooth-talk the wholesaler to try to get all that we can,” Leighton says. 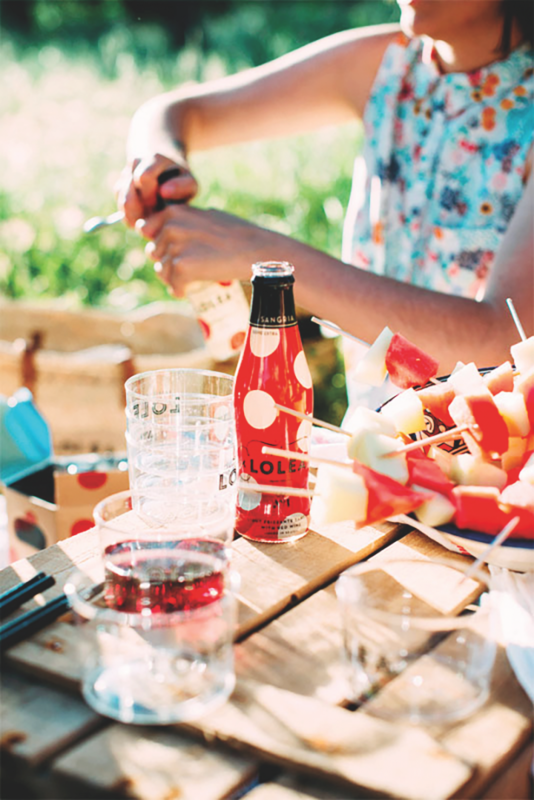 While established brands showed modest growth, three of the top eight sangria brands had double-digit gains in 2017, including Lolea (pictured). Capriccio is more a brand phenomenon than an indication of the category’s health. The performances of leading sangria brands are quite diverse. While overall category growth was somewhat modest last year, there were a few standout performances. Among the top eight sangria brands, three registered double-digit increases. 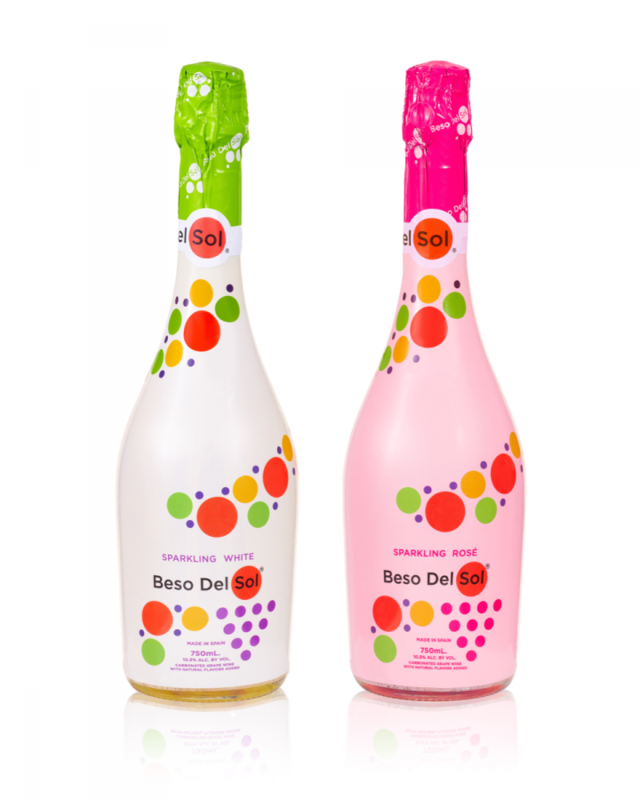 Spanish brand Beso Del Sol registered a 39.6% increase to 208,000 cases, while Lolea, also from Spain, advanced 34.2% to 50,000 cases. New York-based Mija gained 18.1% to 28,000 cases. While Lolea, Beso Del Sol, and a few other labels are adding dynamism, the top four brands had more subdued performances. Cruz Garcia Reál, imported by Shaw-Ross International, retained its hold on the top spot in 2017 with volume at 615,000 cases, a 0.7% gain, according to Impact Databank. Lolailo, marketed by Biagio Cru & Estate Wines, held steady just below Reál at 600,000 cases. Both leading brands are from Spain, and are followed by two domestic entrants: E. & J. Gallo’s Madria and Luxco’s Yago. 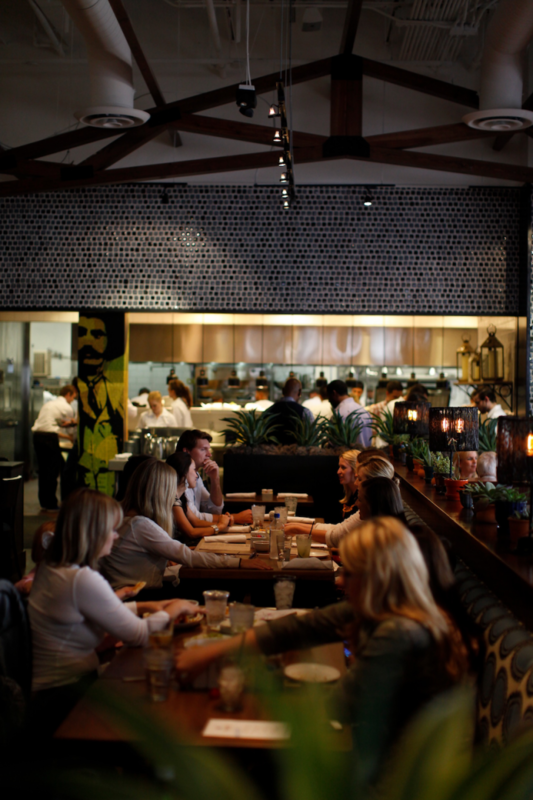 At Fox Restaurant Concept's Blanco Tacos & Tequila (pictured), sangria accounts for half of all wine sales. Beyond the top bottled performers, several wine brands offer sangria variants as well. Those brands also compete for consumer attention and are usually merchandised within the sangria section at retail. For example, Constellation recently introduced Black Box Red Sangria within the Black Box line, which includes 11 other varietals and blends. The 3-liter box has a suggested retail price of $25. Yellow Tail, Barefoot, and a host of other established wine brands all now have Sangria as integral parts of their products lines. In some cases, as with Carlo Rossi, the sangria entrant existed long before the current sangria surge. Riunite Sangria was launched in August 2017, joining a lineup that includes 12 varieties. Juan Vega, vice president of sales and marketing for brand importer Banfi Vintners, says joining the sangria fray made sense given the market dynamics. “It’s interesting to us that the leading brands are very traditional brands,” he says. “There’s not a lot of influx of new concepts, nor a lot of innovation. You’ll see names like Cruz Sangria Reál, Yago, and Carlo Rossi. These are brands that are comfortable, reliable, and recognizable. We felt that Riunite fit right into that mix.” Vega also points to the category’s value-driven price point, noting that it plays to Riunite’s ($10 a 1.5-liter) strength. Blanco's sangria (pictured) is modified according to the weather, season, and guest. Innovation in product offerings has become crucial for many wine and spirits brands in recent years. Sangria as a category has undergone some changes, including the expansion to white, rosé, and sparkling sangrias. Some marketers are expecting more. In the Beso Del Sol portfolio, red sangria dominates, while white and the recently launched rosé each comprise 25% of the volume, Levitan says. And he’s not stopping there. “We’re exploring different flavors and fruits, including the idea of a winter sangria infused with winter fruits and spices,” he adds.